They say “Paris is always a good idea” and actually it is…but we could say the same about the most important Italian cities, and the Holiday Season offers even more reasons to jump on a plane to light the Christmas tree in a luxurious hotel suite. 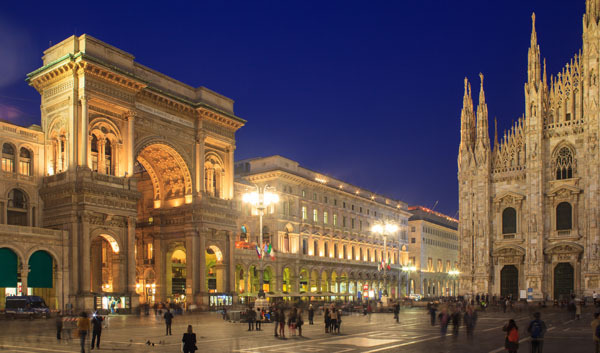 Milan has always been the “capital of fashion” and the shopping in the iconic “quadrilatero” remains unrivalled. But if you’re looking for a different perspective, RomaSì can bring you to the real heart of the city, comprised of independent artisan shops, art galleries and typical “trattorias” to enjoy the real Milanese, a simple yet unforgettable gastronomic experience. During the Holidays, don’t miss the renowned exhibit, “Dentro Caravaggio” at Palazzo Reale in Milan from 29.09.2017 to 28.1.2018. Through recent investigations which unearthed new documents, this exhibit explores a new perspective on Caravaggio’s vast body of work. For the first time, 18 of Caravaggio’s most important works are shown together and analysed by respective radiographic images enabling the audience to follow and discover the artist’s journey from his initial thoughts to the final masterpiece. The Cattedrale di Santa Maria del Fiore (The Duomo) and the city of Florence in Tuscany, Italy. The cathedral complex, located in Piazza del Duomo, includes the Baptistery and Giotto’s Campanile. These three buildings are part of the UNESCO World Heritage Site covering the historic centre of Florence and are a major attraction to tourists visiting Tuscany. Viewed from Piazzale Michelangelo. 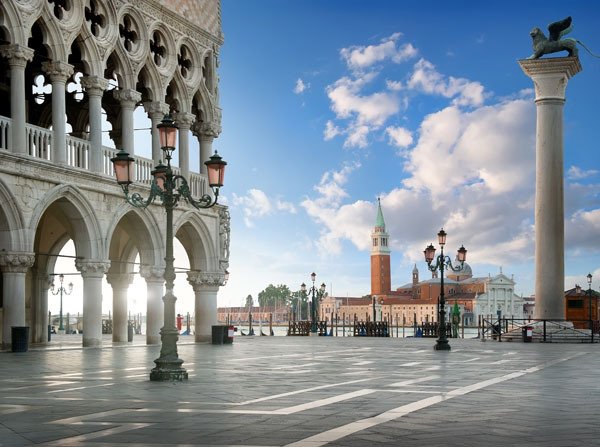 Venice is the grand dame of the arts whose allure has inspired some of the most important writers and poets to create their work. During the holidays it’s beauty comes to life when the calle (the Venetian word for streets) are even more beautiful, the Grand Canal sparkles with dazzling lights and the bacari (the Venetian word for tavern) offers a joyous spot to drink and to live like the locals. The majestic Palazzo Ducale (the Doge’s Palace) is a masterpiece in itself, but during the holidays the Treasures of the Mughals and Maharajahs: The Al Thani Collection is in full display through January 3, 2018. A feast for the eyes, these lavish gems, precious stones and jewels take us on a dazzling journey through five centuries of jewels owned by Indian royalty from the descendants of Genghis Khan and Tamerlane to the great Maharajas. In India, every gem has its own meaning whether it invokes a cosmic purpose or suggests the rank, caste, region of birth, marital status or wealth of the wearer. The Venice exhibition is an incredible journey into the universe of Indian jewellery from the 16th century to the present day. The route is marked by the milestones of this art, which has never ceased to amaze and fascinate Western minds, and arouses their curiosity with images of jewel-bedecked royals and gods. It is a spectacular trip through five centuries of remarkably refined artistic taste and perfected technique, represented by historic Indian diamonds and legendary jewels. The Renaissance gem, Florence, this year is paying tribute to its glorious past with an amazing pair of exhibitions at Palazzo Strozzi. The Cinquecento in Florence- From Michelangelo and Pontormo to Giambologna, is a spectacular exhibition devoted to the art of the 16th century in Florence showcasing over seventy works of art by such artists as Michelangelo, Bronzino, Giorgio Vasari, Rosso Fiorentino, Pontormo, Santi di Tito, Giambologna and Bartolomeo Ammannati. 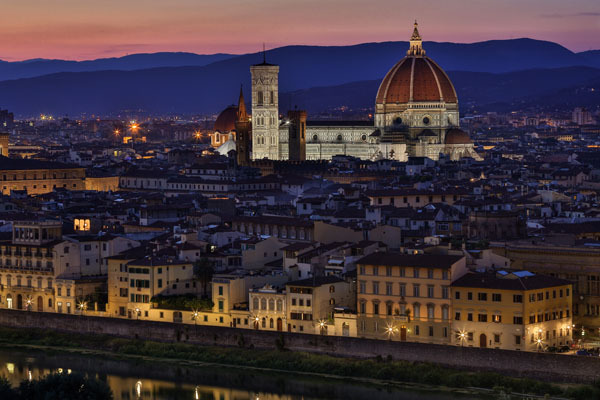 The city of Florence is like an open-air museum but with RomaSì you will be able to see-understand its secret beauty, from locked rooms in its magnificent palaces to off-the-beaten-path experiences and much more. All roads lead to Rome! Which is absolutely true and RomaSì will show you that the best road to get there is the extra-mile… one that is less crowded and enchanting. 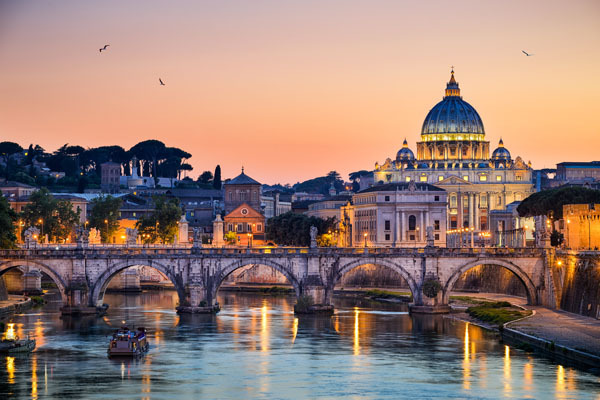 Holidays in Rome are colorful, joyful and full of plenty of amazing events. If art is your keyword, Rome won’t disappoint you: Picasso, Monet and Hokusai are the biggest names on the exhibition carnet this December. Pick your favorite and make a Christmas wish list…RomaSì will take care of the rest, because there’s no better present than an unforgettable trip that creates memories that will last forever.